Akirov Towers. Most prominent resident: Minister of Defense and former Prime Minister Ehud Barak. 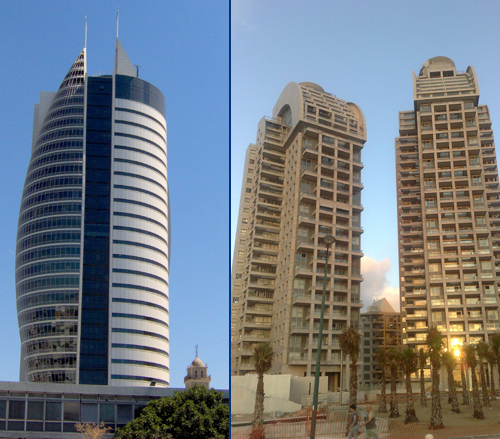 The Ramat Gan Diamond Bourse, which was first to define the TLV-RG urban skyline. 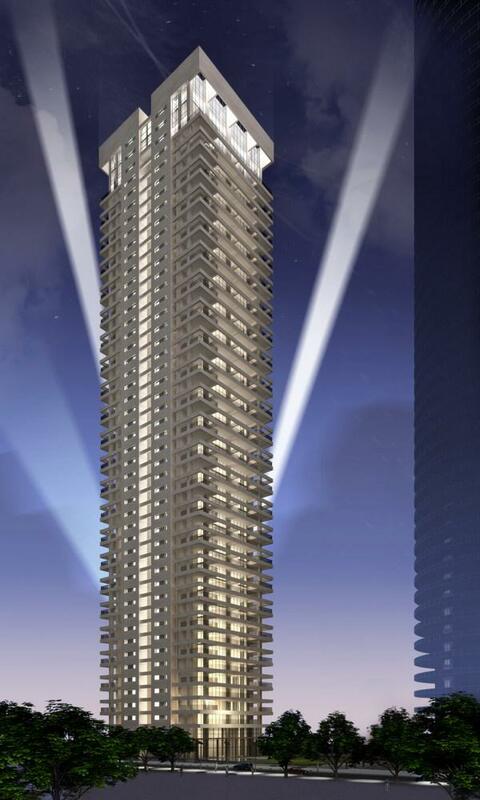 The rest of the country is not free of this luxury high-rise scourge. Worse yet, the farther out you get from the center, the funnier the names get. 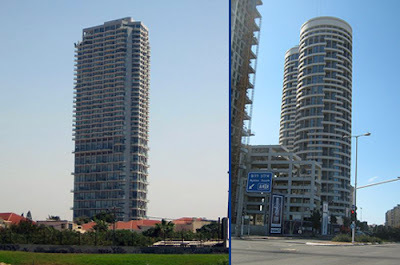 Meet Haifa’s Sail Tower and Netanya’s Sea Opera. To the south: the Neve Zedek Tower casting its long luxe lifetyle shadow over quaint and trendy Neve Tzedek, one of the oldest neighborhoods in Tel Aviv. To the North: The Yoo Towers, designed by the master, Philippe Starck. And Jerusalem’s Holyland, the project that launched a thousand corruption lawsuits! The W-Tower residential high rises in Tel Aviv were nominated for the Best Tall Building Award, presented annually by the Council of Tall Buildings and Urban Habitat in Chicago. At 46 stories, is Israel’s tallest residential building. The headlines this week in Israel are dominated by the housing crisis. 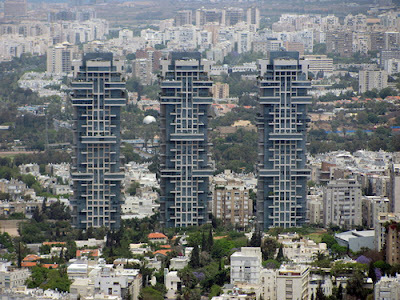 Middle class Israelis are protesting against soaring housing prices and high cost of living. It started in Tel Aviv, but by the end of the week had spread to other major cities of the country. The protesters have brought to light the wide spread discontent among Israelis over the growing gaps between rich and poor. Among the protests are doctors striking over working conditions and pay, parents demonstrating against expensive child rearing costs and similar outpourings over increasing gas prices. Police in Israel said over 100,00 protested in ten cities across the country from Beersheba in the south to Kiryat Shmoneh in the north on Saturday night, July 30th. Above are a few of the projects that are really making it impossible for new homeowners to afford to live in Tel-Aviv and other major cities. 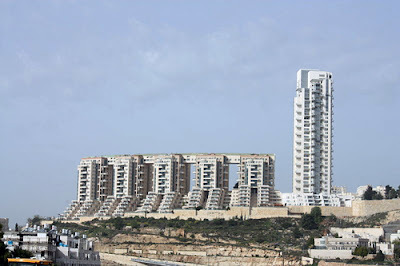 Haaretz, Maariv, Israel Hayom and Yedioth Ahronoth lead their Monday editions with the latest popular protest to sweep Israel – the protest against the prohibitively high cost of housing. 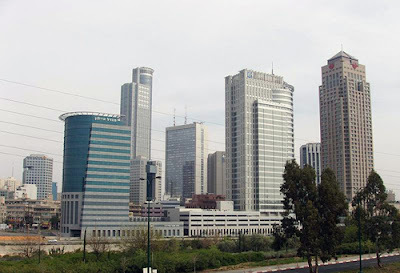 Yedioth Ahronoth and Maariv report that the protest, which began in Tel Aviv, has now spread to other cities, while Haaretz headlines Prime Minister Binyamin Netanyahu’s assertion that a solution to the housing crisis will take up to three years. Israel Hayom turns the largely social protest into a political event, reporting in its lead headline that the ‘National Left,’ under the leadership of Eldad Yaniv has ‘infiltrated’ the tent city and is trying to ‘hijack’ the protest. In other news, Yedioth Ahronoth carries a report from Sunday’s Der Spiegel, which claims that Germany has finally agreed to provide Israel with a sixth Dolphin submarine, reportedly capable of carrying a nuclear weapon. According to the report, the German defense minister promised during a visit to Israel last week that his government would partly fund the manufacture of the sub by earmarking 135 million euros for the endeavour in the next budget. According to reports, each submarine carries electronic intelligence equipment and several dozen soldiers. It was previously reported that Israeli submarines are stationed in the Persian Gulf near Iran. Elsewhere, Army Radio reports that the Air Force targeted a Palestinian cell in Gaza preparing to shoot Israeli soldiers early Monday and dropped leaflets warning Arabs to stay away from the security fence. It was the sixth straight day that Israel has staged retaliatory or preventive strikes in Gaza. Monday’s strikes were carried out in coordination with the Shin Bet. The IDF said it continues to hold Hamas responsible for all attacks from Gaza, where the organization rules. Several other groups, often in coordination with Hamas and sometimes acting to upstage it, also possess rockets. Hamas and other organizations possess at least 10,000 rockets and missiles, most of them crude Qassam rockets but many of them also longer-range missiles that can strike metropolitan Tel Aviv, according to military estimates. Although none of the recent rocket attacks have caused physical injuries, they have sent several people into emotional shock and serve as a psychological weapon. An early warning system of an incoming rocket gives people 15-20 seconds to run to bomb shelter. Meanwhile, a senior Hamas member jailed in Israel says that the Islamist organization had agreed to the deportation of 82 Palestinians prisoners who would have been freed as part of a deal to release captive IDF soldier Gilad Shalit. According to the official, the 82 prisoners would have been deported abroad or to the Gaza Strip. The Hamas official said in a letter to the Palestinian Maan news agency that the terms of the deal were worked out during the tenure of former Prime Minister Ehud Olmert, but fell apart with the demand of his successor, Binyamin Netanyahu, for the addition of another 76 prisoners to the deportation list. The Prime Minister's Office did not respond to the report.